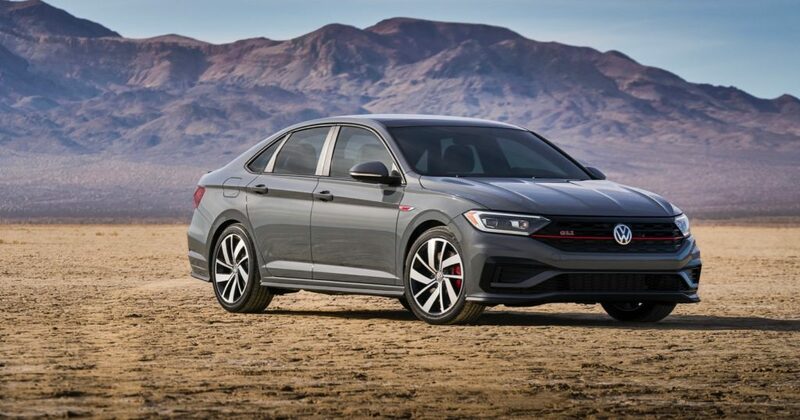 If you love the VW Golf GTI (and who doesn’t), but you’d rather have a sedan bodystyle, you’re in luck. 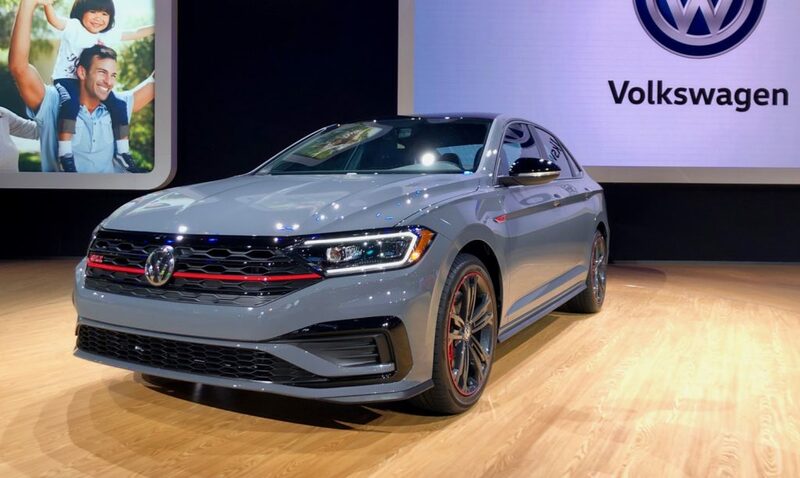 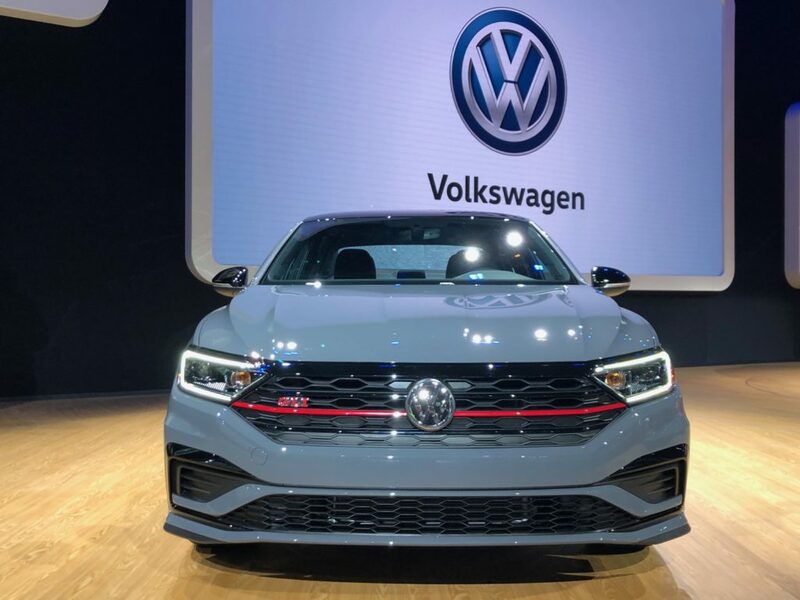 VW has unveiled the 2019 VW Jetta GLI, which is powered by the same turbocharged four-cylinder as the much loved GTI. 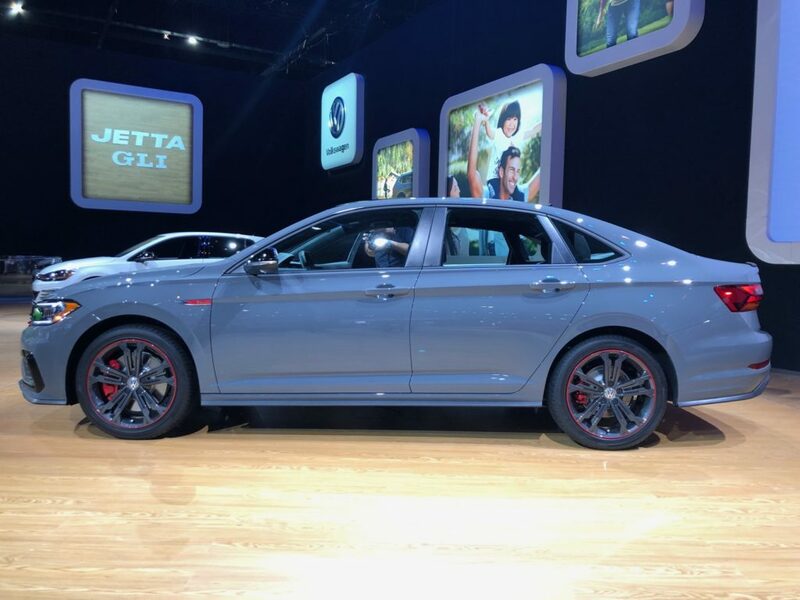 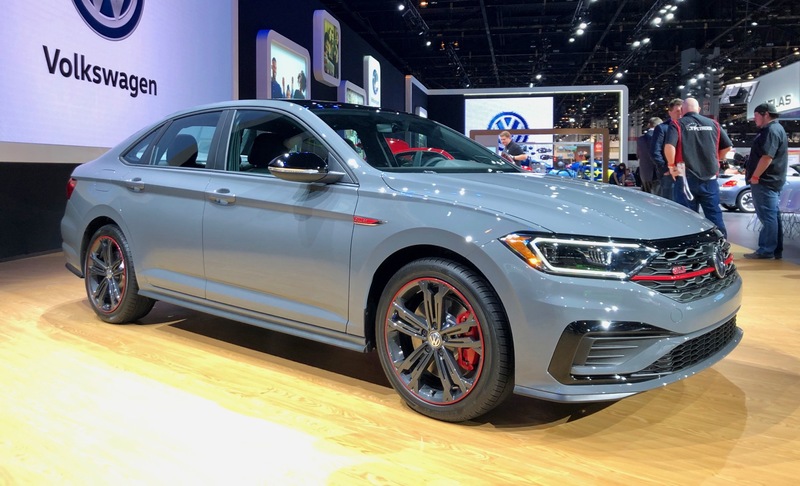 The 2019 VW Jetta GLI is the high-performance version in the Jetta lineup. 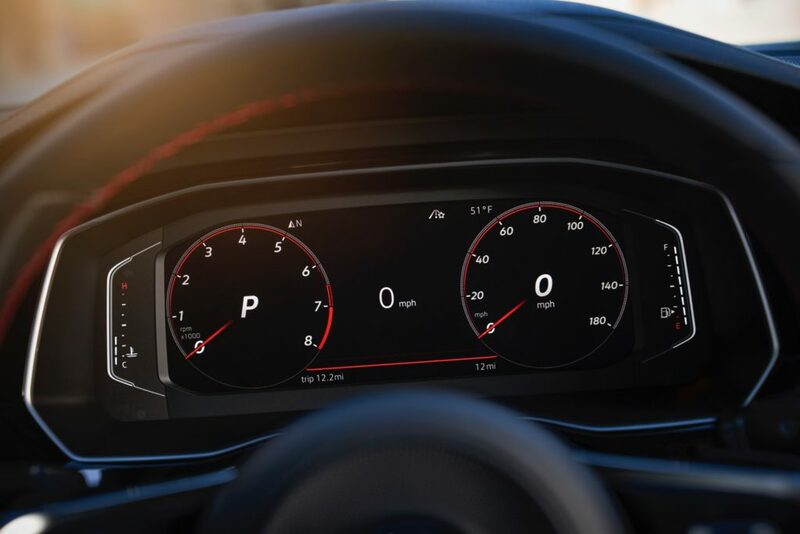 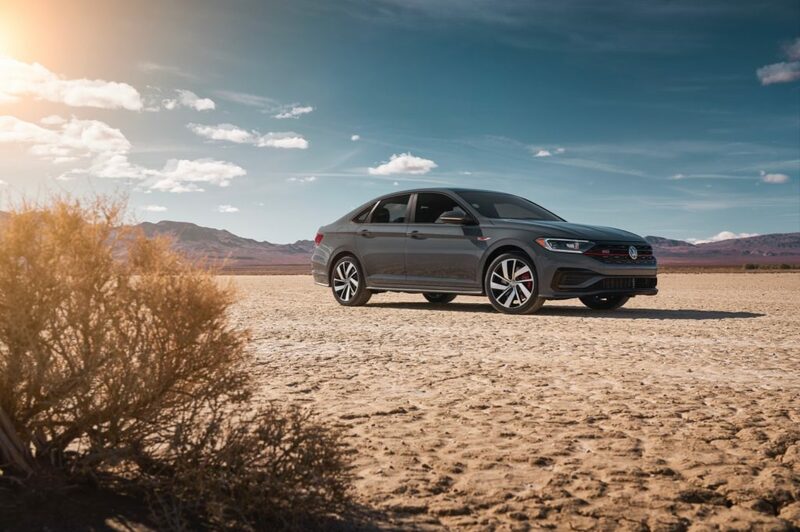 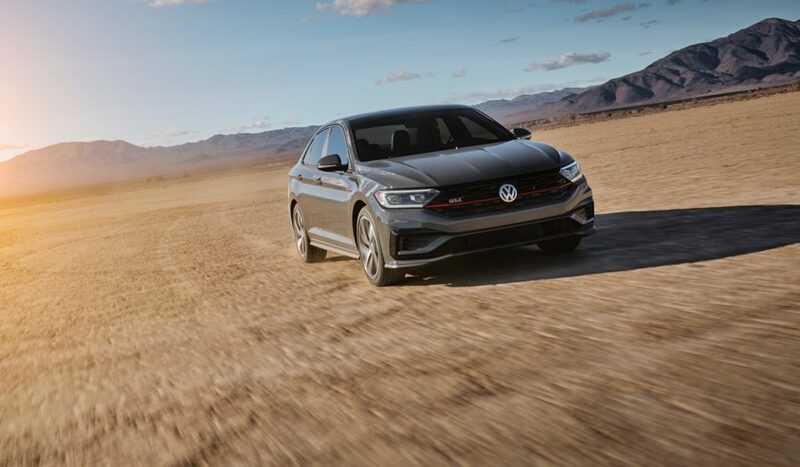 It’s powered by a 2.0-liter turbocharged EA888 TSI engine with 228 horsepower and 258 lb-ft. of torque, which is 18 more horsepower and 41 lb-ft. more than the previous Jetta GLI. 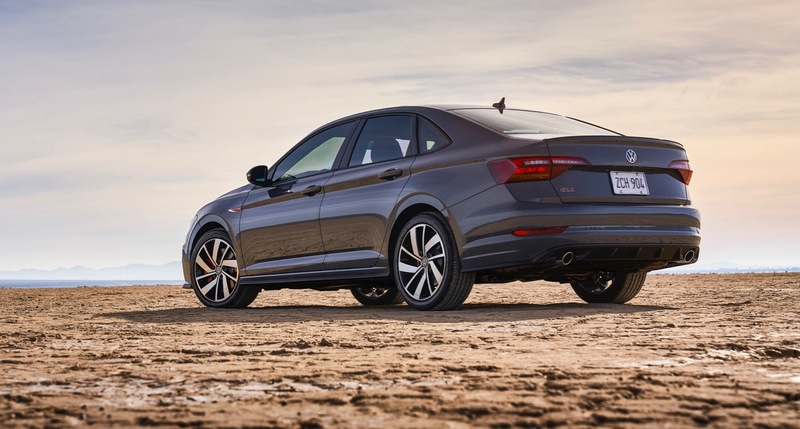 The four-cylinder is mated to a six-speed manual transmission or a seven- speed DSG dual-clutch automatic transmission. 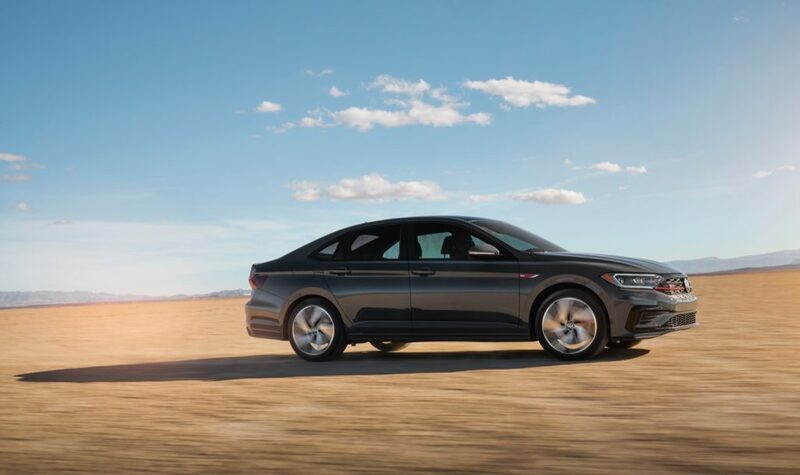 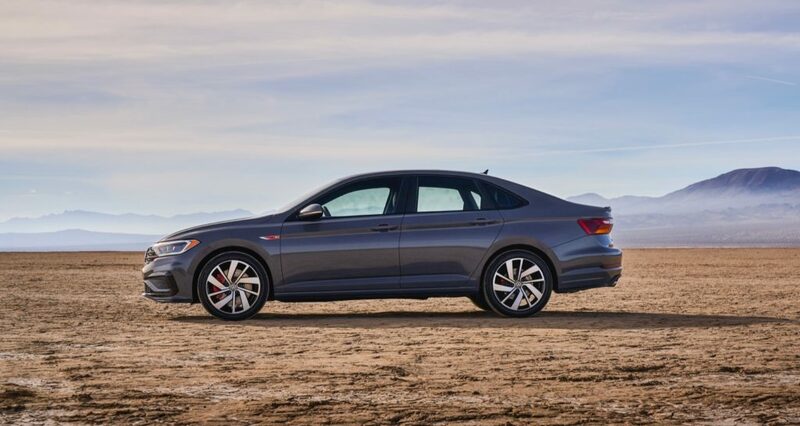 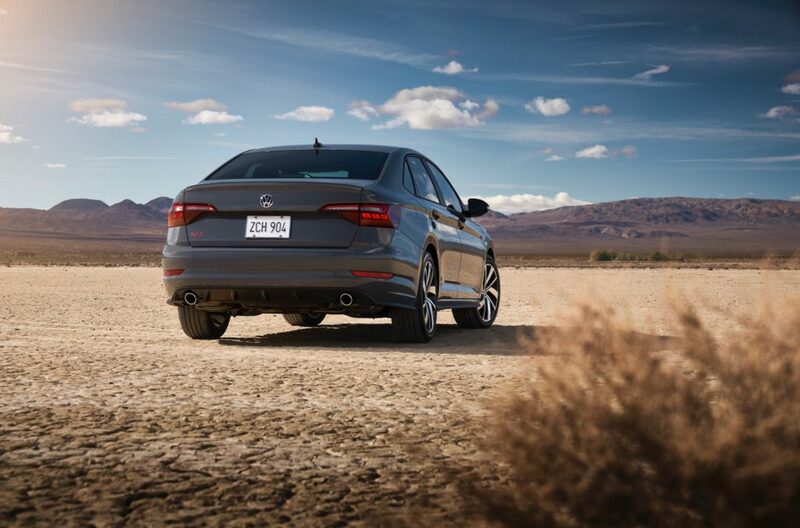 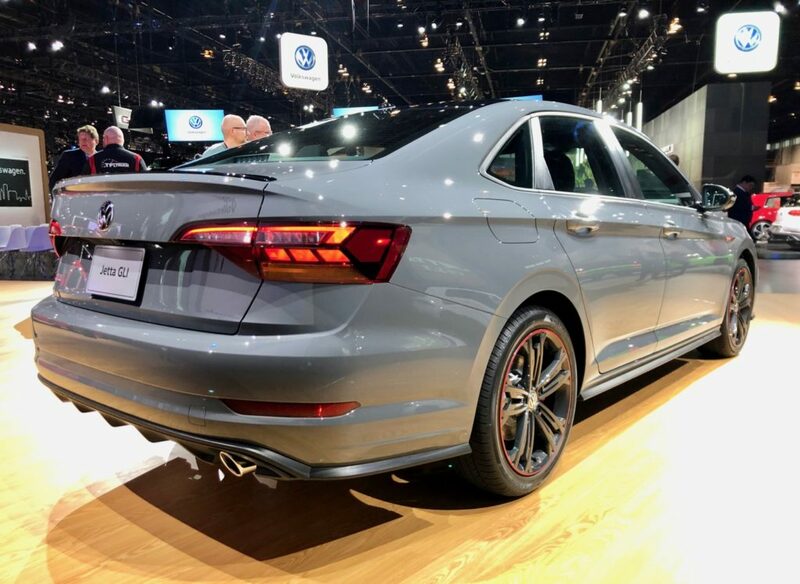 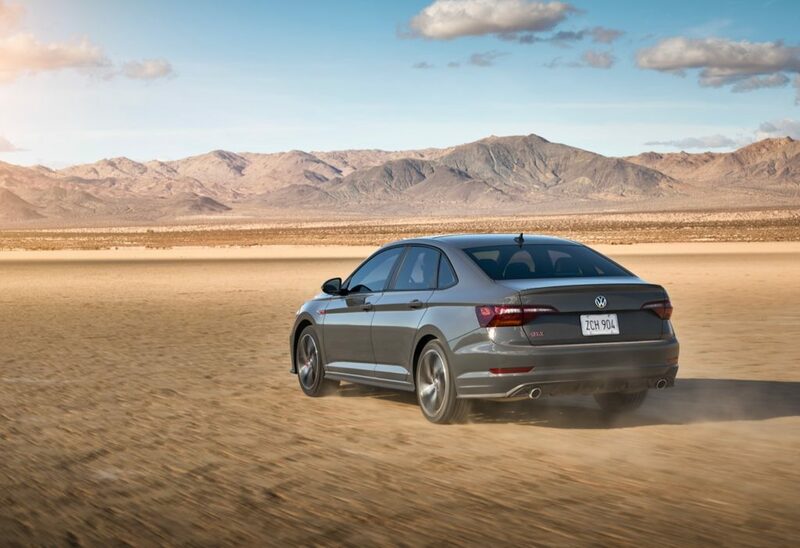 In addition to the turbocharged engine, the 2019 Jetta GLI rides on an independent sport suspension, with a strut-type setup at the front and a multi-link arrangement at the rear. 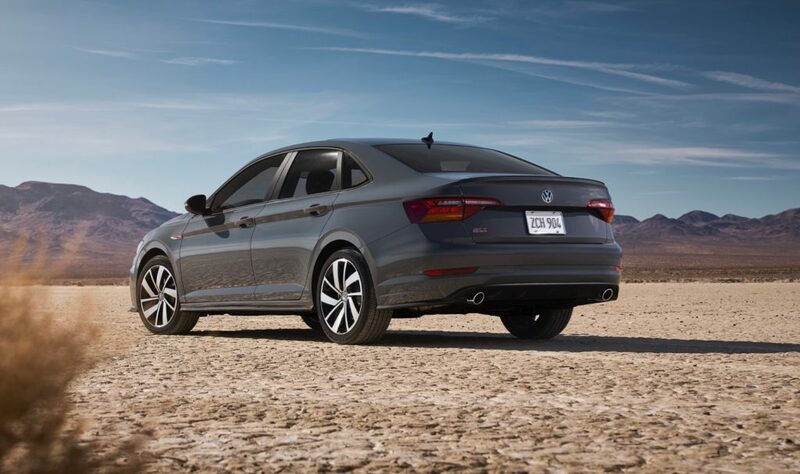 It also sits 0.6 inches lower than a regular Jetta. 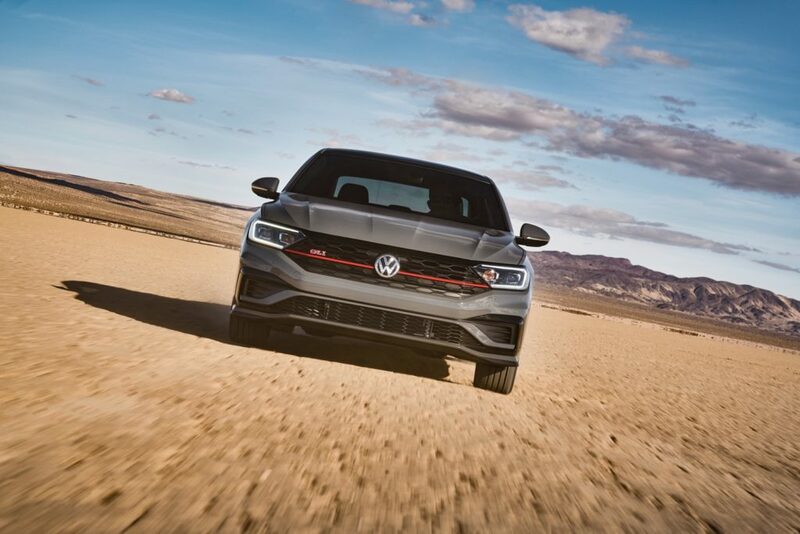 Its brakes are shared with the Golf GTI and Golf R, using 13.4-inch diameter vented front discs. 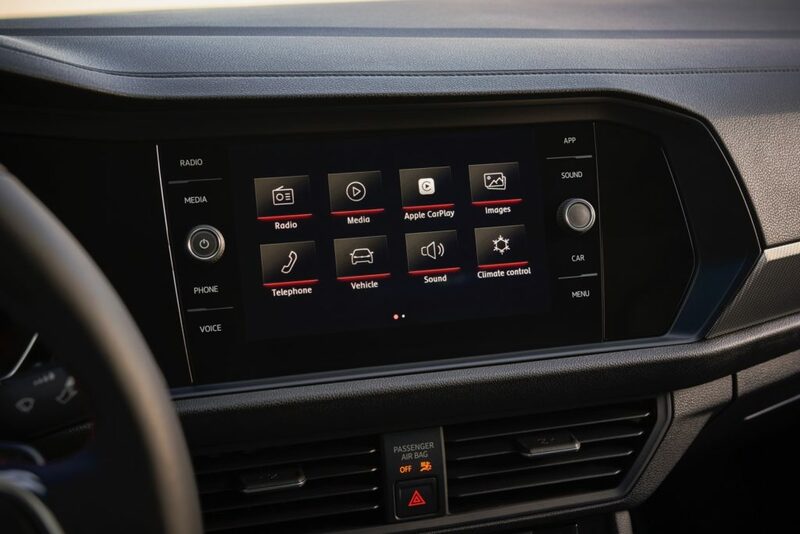 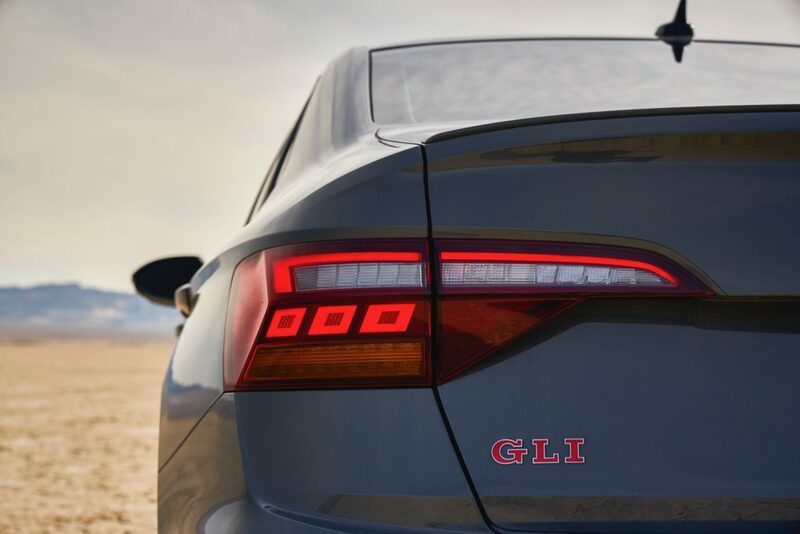 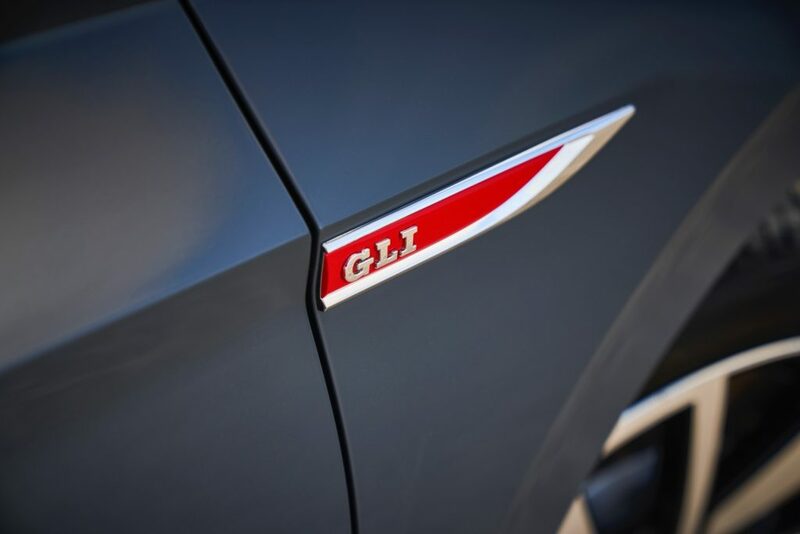 Like the GTI, the GLI also features a VAQ electronically controlled, torque sensing limited-slip differential. 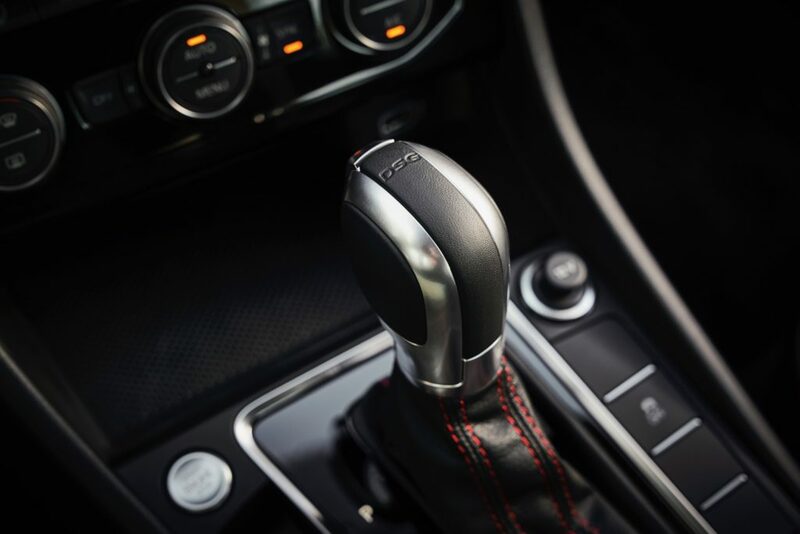 The 35th Anniversary model is also fitted with the DCC adaptive damping system. 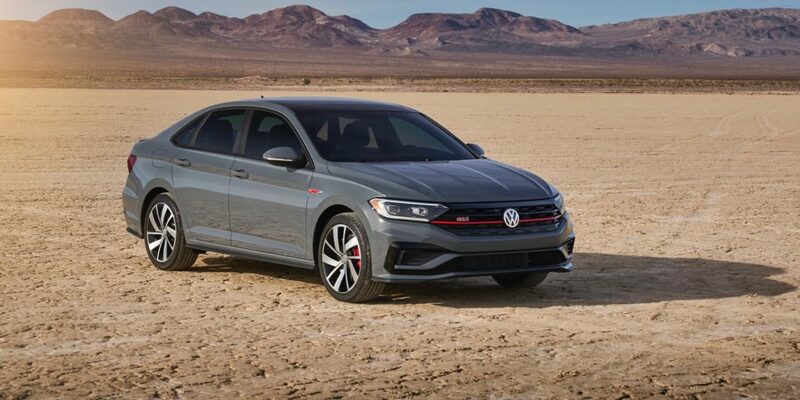 On the outside, the 2019 Jetta GLI borrows some styling cues from the GTI, like its black honeycomb grille with a red accent line. 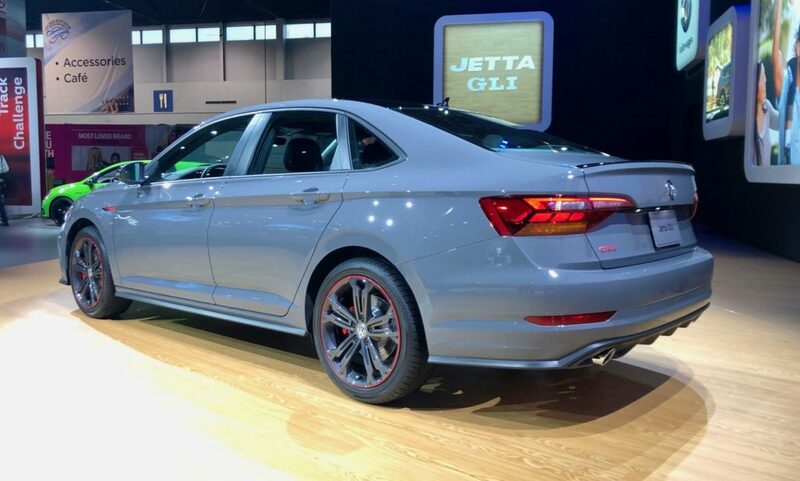 It also features red-painted calipers, unique 18-inch aluminum-alloy wheels, a spoiler and unique rear bumper with a diffusor and dual chrome exhaust tips. 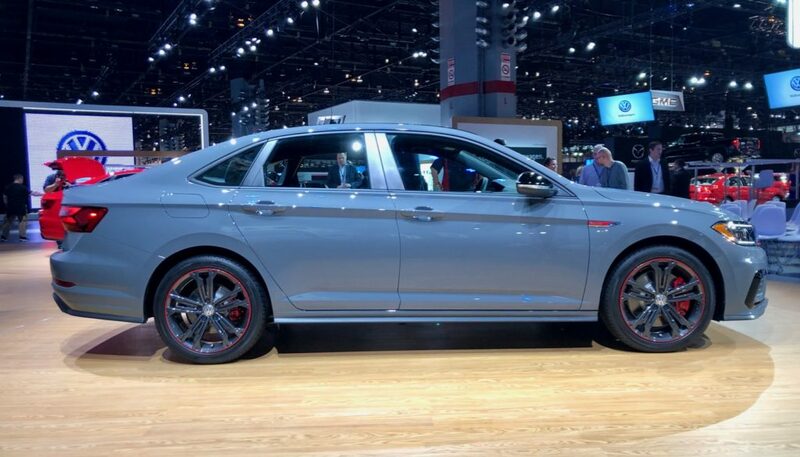 The 35th Anniversary model gets unique black wheels with a red stripe, a black roof, black mirror caps, black tail spoiler, and 35th anniversary badging. 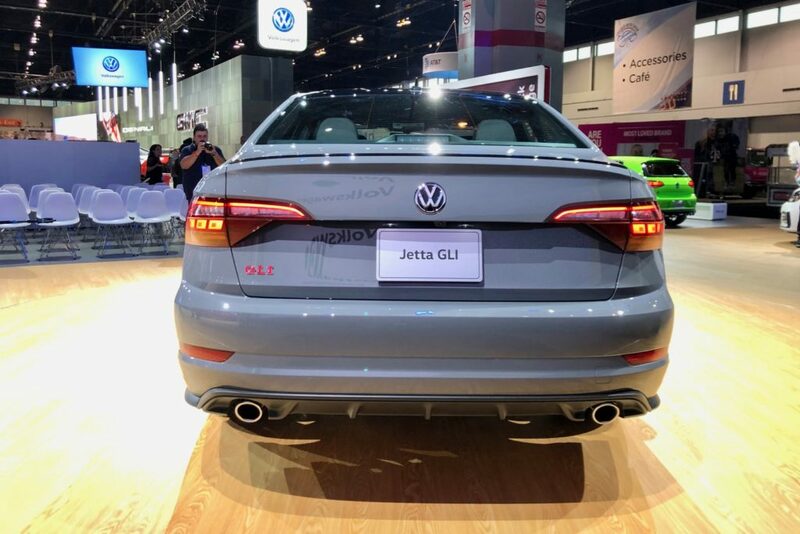 The 2019 VW Jetta GLI will arrive this spring.